Nemeth was sailing off the western coast of New Zealand in the missing 21-metre vintage wooden schooner with its owner David Dyche, 58; his wife, Rosemary, 60, and their son David, 17; Kyle Jackson, 27; Danielle Wright, 18, and Briton Matthew Wootton, 35. The boat was last heard from on June 4, when Nemeth requested meteorological information about rough weather they were encountering. "Sails shredded last night," along with the promise of a course update later, was the last message from the Nina, the authorities said on Thursday. The update never came. Rescuers had been hopeful because the boat's EPIRB emergency beacon had not been activated. However, with no trace of the Nina yet discovered and no signal received, it appears the boat may have sunk so swiftly as to give no chance for an alert. It's appears that the boat was carrying an older EPIRB which isn't activated by water pressure. "Unfortunately, no sign of the vessel has been found," said search and rescue mission coordinator Kevin Banaghan. "Our records show that conditions at the last known position for the vessel, on 4 June, were very rough, with winds of 80kmh, gusting to 110kmh, and swells of up to 8m." 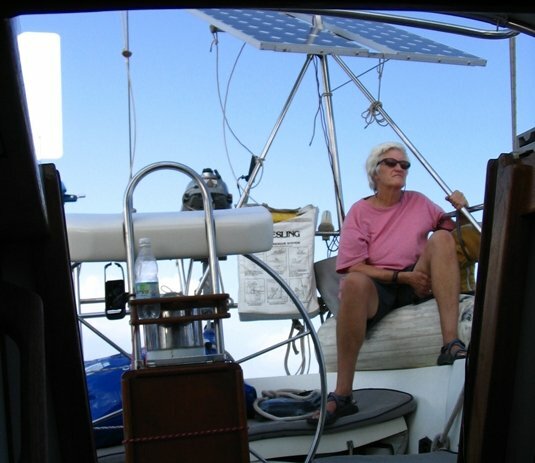 Nemeth was a keen and experienced sailor who devoted much of her time to on the water since her retirement, and was well-respected in the cruising community. But it was the computing world, specifically her contributions to UNIX and Linux, for which she will be most well-known to Reg readers. Nemeth was born in 1940 and earned her PhD in mathematics in 1971 before entering computer science in 1980. Her math skills were proven when she found problems with the "Diffie–Hellman problem" used for cryptography, but for systems administrators she is best known for her seminal handbooks on network management. In 1989 she wrote the Unix System Administration Handbook, which she revised in 1995 and 2000. She also published the Linux Administration Handbook in 2002 (revised in 2006) and in 2010 authored the combined Unix and Linux System Administration Handbook. "Many people equate the word 'daemon' with the word 'demon,' implying some kind of Satanic connection between Unix and the underworld," she wrote. "This is an egregious misunderstanding. 'Daemon' is actually a much older form of 'demon'; daemons have no particular bias towards good or evil, but rather serve to help define a person's character or personality." "The ancient Greeks' concept of a 'personal daemon' was similar to the modern concept of a 'guardian angel' – 'eudaemonia' is the state of being helped or protected by a kindly spirit. As a rule, Unix systems seem to be infested with both daemons and demons." In later years, Nemeth worked with the Cooperative Association for Internet Data Analysis (CAIDA), measuring internet traffic. She also organized the Internet Engineering Curriculum (IEC), a repository of IT training tools for the academic world, and worked with Apple cofounder Steve Wozniak to set up academic scholarships in the industry. It now seems certain that she has perished while enjoying her favorite sport of sailing – she had successfully completed a circumnavigation under sail. One former crewmate recalls how, when sailing off Senegal, their boat was attacked by a whale. "While everyone was going a bit nuts Evi stayed calm and started the engine to help the whale understand they weren't looking for a fight. It was the first time I understood what seamanship was," he said. It might seem odd that a ship equipped with an emergency beacon and a satellite phone can simply disappear, but it's not unknown. In that kind of weather and without motive power, the boat could have rolled and sunk relatively quickly, and in the panic and chaos, getting a message out would have been impossible.